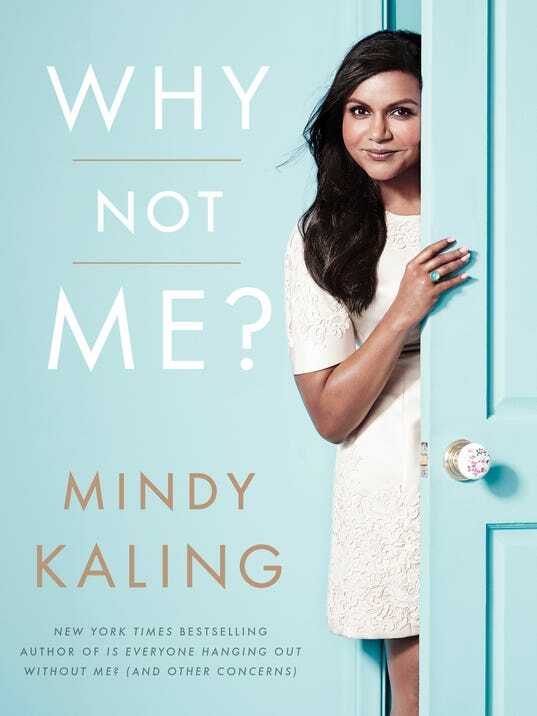 Christine KAURdashian: Mindy Kaling's Second Book: Why Not Me? Mindy Kaling's Second Book: Why Not Me? Back in 2011, I became obsessed with Mindy Kaling after discovering her tumblr and her first book Is Everyone Hanging Out Without Me and Other Concerns. I was in stitches reading the two. Then Mindy landed The Mindy Project and the rest is history. Mindy was sparked to write this book after being asked at a panel where she got her confidence from, which got her to thinking and TA-DA we are now blessed with this 2nd book. My friends and I like to think Mindy is our best friend...she just doesn't know it yet. Her new book focuses on a question people- especially women- should be asking themselves. Why can't I be the hottie with the body? Well, because Christine you love McDonald's. Also, she uses on fleek...alot. So, now we're here with this book. I'm probably about 1/4 of the way through after only having purchased it lastnight and I love it. From the first page on I was laughing out loud. Oh, and catch The Mindy Project on Hulu!